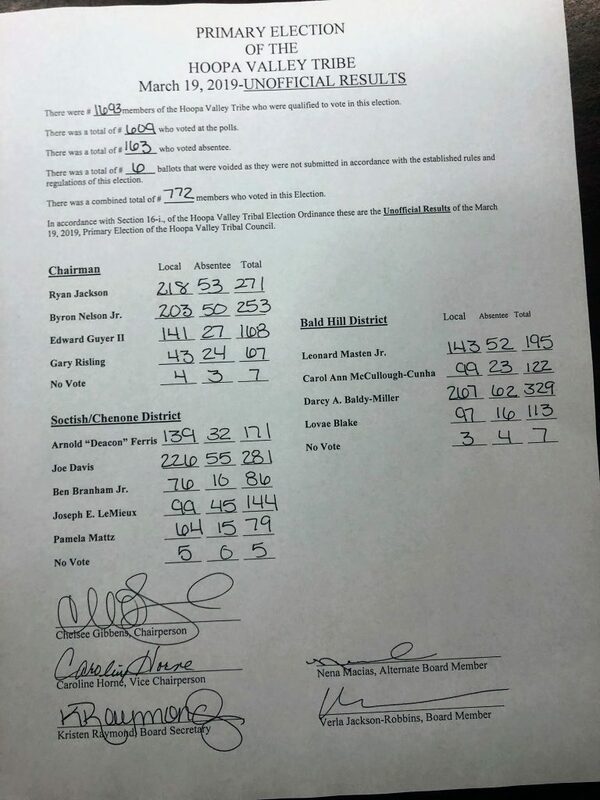 Many thanks to every Tribal Member who voted in the Hoopa Tribal 2019 Primary Election! Voter Registration is open TODAY and will remain open until 37 days prior to the Tribal 2019 General Election date. We will keep the community updated on the Hoopa Tribal General Election set for June 18th, 2019.